It's 10:48 at the moment, and even though it is a Friday night, I'm ready for bed! But I can't go to sleep until I write about the thoughts I'm having about some things I've learned today and experienced today. Andrew's work had a fun Halloween party tonight, geared towards families and children. There were games, a spook alley, and of course, candy. Lots and lots of candy. The party was held at The Gateway mall in Salt Lake, and little children wearing all sorts of witch, superhero, werewolf, and even astronaut costumes was not uncommon. Apparently, neither were Asian tourists! Andrew had to go back to work for another hour, so Chelsea and I decided to just hang out until he was done. Our first stop was at a little water fountain with three Asian men standing to the side talking. 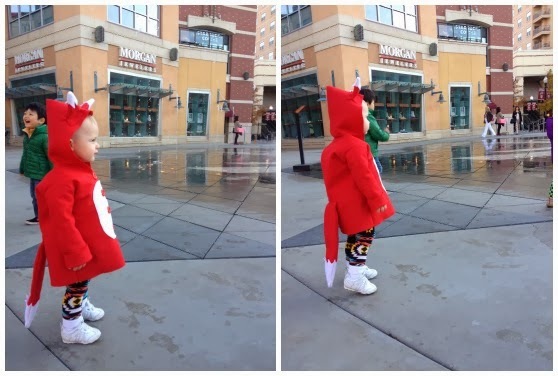 They smiled at Chelsea in her little fox costume and laughed at her very serious expression as she neared the fountain (my daughter has her father's steel-y facial expression). I noticed some pennies in the pool around the fountain and decided that it might be fun for Chelsea to have her first experience tossing wishes into a pool. Small object + throw = awesome. I ran out of pennies pretty fast. When I only had one penny left, I noticed one of the men had rounded the fountain to come by us. He bent down at Chelsea's eye-level and handed her a penny, which she immediately took out of his hand and threw unceremoniously into the pool (she is only one-and-a-half). The kind man and I both laughed and he said "nice." Since I had run out of pennies, we decided to head down the stairs to the water pad. There was a father with his three children sitting on the bench and playing by the water. Chelsea and I came right up to the edge of the pad and watched the water and the children play. Each child had a huge grin on her face as she neared the water spout closest to us, then quickly ran away as it squirted out of the ground, giggling uncontrollably back to their father. This pattern continued until the youngest daughter was the only one left playing the game. I don't think she was any older than Chelsea. I was watching Chelsea watch the water, but looked up just in time to see this tiny girl turn around with water dripping from her hair and face and a look of utter bewilderment from her eyebrows down to her chin. I could NOT contain my laughter. It came out as a pursed-lipped "pffffvvv" sound before I tried to contain myself, covering my mouth and face to hopefully suppress the laughter. You should have seen the look on this little girl's face! Don't think I'm mean! I'm just one of those moms that doesn't take these kind of things too seriously. If it had happened to Chelsea, I would have laughed unashamed. I looked at the girl's father and apologized for laughing, but he just gave me a reassuring smile. It wasn't long after the family left that a new wave of Asian tourists came walking by. Were they going to miss the opportunity to get photos of a cute American toddler wearing a fox costume? Not a chance. Seriously, one man even had his huge DSLR camera with giant lens and all and was taking photos of her (if they weren't tourists, I might be a little concerned). One woman even took a five-minute video on her smartphone of Chelsea just looking at the water and walking around, I kid you not. And to top that, a group of three women came over to Chelsea and each took a turn taking a photo with her! Of course I stayed close by, but was glad to share my daughter with them for a few moments. Finally, after riding the escalator up and down at least five times each, we headed to Barnes and Noble to look at some books and wait for Daddy. *As a side-note, we totally caught an Asian couple having a mini make out shesh until I looked up and saw them. I'm pretty sure in most Asian cultures, PDA is looked down upon, a lot, which is probably why the guy was watching me as he made out with his girl and stopped just a second later. I had so many stories to tell Andrew once we got in the car to head to yet another party, but it wasn't until we got home tonight and I was reading through a couple of my favorite blogs that I realized what a gift this day was. "Don't be too busy to live your life--really live it. Don't be too caught up in the stress of every day to notice when a moment is begging to become a memory. Don't walk away from that because you think your current circumstance is too important. Memories are a beautiful gift, and one that you can give yourself. Live your life open to moments like that, and suddenly, the business you thought was so important? It won't be. It never was." 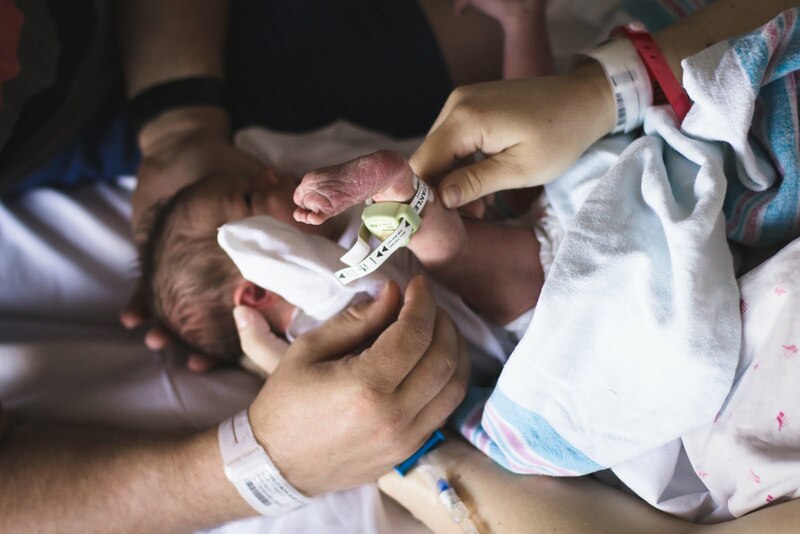 "...with every mile after that, I fought the urge to tell Andrew we should just stop right here at this suburban chain restaurant because I really don't think I can make it all the way to the city and be so far away from my baby. But, I panicked quietly, secretly, and smiled and nodded and enjoyed my husband's music because really, he deserved this! He deserves to have his wife to himself occasionally, especially on his birthday. I am a doer. That's why I've always got some sort of project going on and another working in my head. I multitask and would much rather be busy than be bored (which is why I've had issues with my hands in the past, a long story that I'll tell you about later). But sometimes, I allow myself to succumb to stress and business by focusing on the project more than I should. It makes me sad to admit that I've probably missed out on some of the moments that Chelsea is talking about in her post. I love my projects, and I love to create, but in the end, am I sacrificing memories for stuff? And is it worth it? But I don't want to dwell on that. What is in the past is done, and there's nothing I can do to change it. What I can do, is decide to do things a little differently. Each day, try a little harder to be present for those memories, like today. Take some time to appreciate the little things and see everything with a "Tourist's eyes." 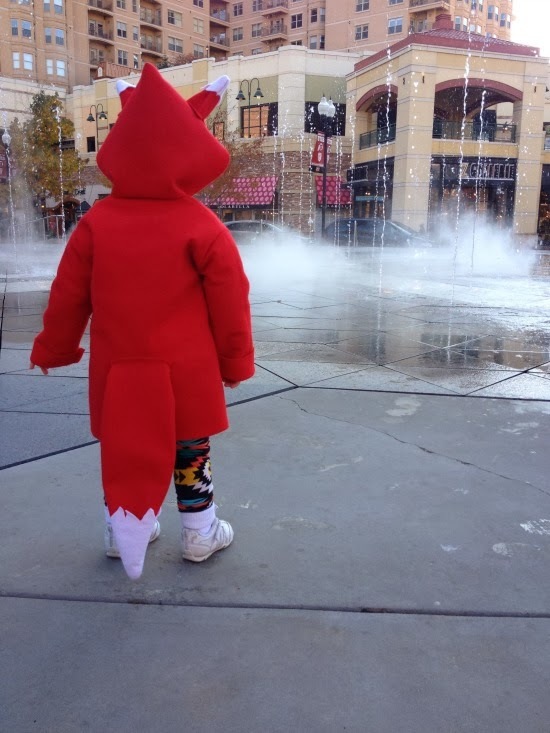 If I'm being completely honest, a little kid in a fox costume really isn't a big whoop (unless it's your own kid and she is COMPLETELY adorable! ), but those tourists reminded me to open my eyes. To be kind. To appreciate children and to not be afraid to leave my comfort zone in order to share a moment with a complete stranger. I want to be a tourist. I want to take advantage of moments that come, to appreciate them for what they are. I want to make memories with my family, and to give my husband special treatment that he deserves, to build our relationship and our love. Don't you?